The stock market can be a dangerous place. Never Trade Alone. Through our Professional Network you have access to a 24/7 Live Chat populated with both Professional and Part Time Traders. Utilize the Traddr Network to exchange information, ideas and opportunities. Find the people & knowledge you need to achieve your goals. Tap into our Global Network and gain exclusive access to a Private Equity Firm. 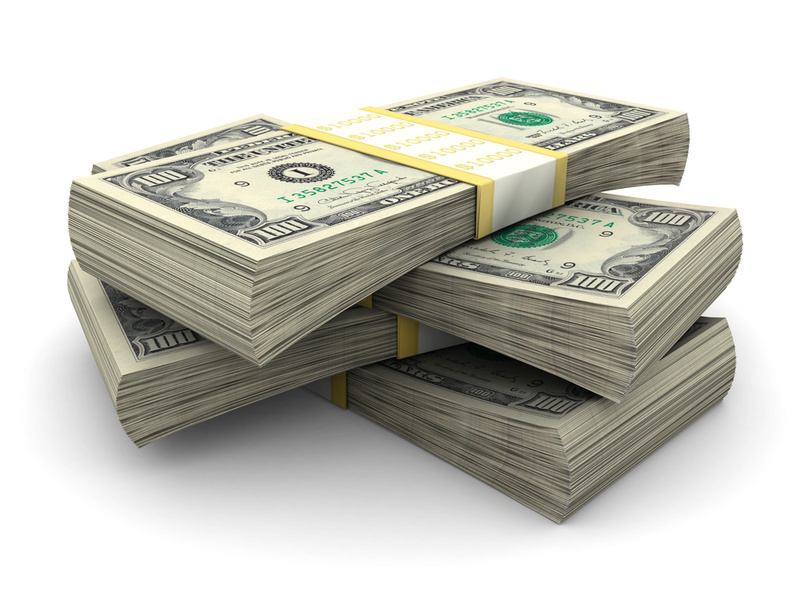 With as little as $5,000 down, you can now begin your journey as a professional daytrader. Through Traddr.com proprietary affiliation, we will put you in touch with Trade Managers who understand your needs and can tailor a custom package to fit your trading style. Get Personalized! Don’t be a sheep. Be the Shepherd and take control. Have you ever wanted to trade for a living but did not know where to begin? We simplify the learning curve – just for you. There is no commitment necessary. Download our industry leading trading platform and take it for a test ride. Download a free demo HERE. Fill out the above referral application and we will get you started on your journey. ALL TRADERS NEED TO USE PROPER TOOLS WHEN APPLYING METHODS OF TRADING. THE SINGLE GREATEST ASSET IS USE AND MASTERY OF TECHNICAL ANALYSIS. GONE ARE THE DAYS OF USING RULERS AND PROTRACTORS ON GRAPH PAPER TO MAP A BREAKOUT. NOW EVERY MODERN COMPUTER CAN CHART AND VIEW DYNAMIC MOVEMENT WITHIN A GIVEN SECURITY OVER ANY TIME FRAME. THE COMPARISON OF THESE TECHNICAL CHARTS IS HIGHLY ANALYTICAL (HENCE THE NAME TECHNICAL ANALYSIS) AND GIVES AN IDEA OF WHERE A STOCK MAY FIND SUPPORTS AND RESISTANCES BASED ON PRIOR HISTORICAL TRADING. WHILE NOT 100% ACCURATE, IT DOES PROVIDE AN EDGE. CONSISTENT EDUCATION IS KEY TO STAYING SHARP AND IDENTIFYING PATTERNS. EVERY TRADER NEEDS TO FIND THEIR NICHE. IDENTIFY A HANDFUL OF PATTERNS WHICH CONSISTENTLY WORK, AND YOU HAVE YOUR “BREAD AND BUTTER” APPROACH TO TRADING. PROP TRADING CARRIES RISK. IF ANYTHING, THE RISK IS INCREASED AS GREATER LEVERAGES OF BUYING POWER ARE ALLOCATED. STAN LEE SAID IT BEST IN THE SPIDERMAN COMICS. “WITH GREAT POWER COMES GREAT RESPONSIBILITY.” IF YOU ARE TRADING A PROP ACCOUNT, AT HOME OR AT A FIRM, THE APPROACH MUST BE ONE OF A PROFESSIONAL CAREER MINDED INDIVIDUAL WHO IS LOOKING TO BUILD A SUCCESSFUL FUTURE. TO IMPLEMENT CORE STRATEGIES, NARROW MINDED INDIVIDUALS NEED NOT APPLY. THERE IS NO SUCH THING AS A “ONE SIZE FITS ALL” PROP TRADING STRATEGY. FIND THE PARAMETERS WHICH FIT YOUR MINDSET AND PERSONALITY, AND WORK TO HONE THESE SKILLS ON A DAILY BASIS. TAKING THE EMOTION AND HUMAN ASPECT OUT OF THE TRADE CAN BE THE VERY KEY TO YOUR FUTURE. BECOMING SO GOOD AT SPOTTING SPECIFIC TRENDS THAT YOU REACT WITHOUT HESITATION IS THE EARMARK OF A SUCCESSFUL TRADER. IF THIS DOES NOT FIT YOU, KEEP LEARNING, KEEP EDUCATING YOURSELF, AND KEEP STUDYING TILL YOU FIND OUT EXACTLY WHAT WORKS FOR YOU. FINDING THE GUIDELINES THAT FIT WITH YOUR TRADING APPROACH IS A LENGTHY PROCESS. A MAJORITY OF DAYTRADERS ARE UNSUCCESSFUL AND IT’S FOR THE VERY REASONS DESCRIBED ABOVE. DISCIPLINE, DETERMINATION, ABILITY TO LEARN NEW STRATEGIES AND ADAPT ARE THE KEY TO YOUR FINANCIAL REWARD. BRAND NEW TRADERS NEED TO HAVE A TRADING PLAN AND DEFINE THEIR OWN RISK TOLERANCE. ALWAYS HAVE AN EXIT PLAN IN PLACE – WHETHER A STOP OR A SELL. CAPITAL PRESERVATION IS KEY. LIVE TO TRADE ANOTHER DAY. AND NEVER EVER WORRY ABOUT MISSING A TRADE. A NEW ONE ALWAYS PRESENTS ITSELF SHORTLY. USE THIS AS A LEARNING CURVE. MANY TRADERS PAID DEARLY IN MONEY, TIME AND SANITY FOR THEIR TRADING EDUCATION. THERE IS NO NEED TO DUPLICATE THEIR MISTAKES. PROFESSIONAL TRADERS HAVE A WELL-DEFINED SET OF TRADING GUIDELINES TO AVOID LARGE LOSSES. ALL TRADERS SHOULD HAVE A MAXIMUM LOSS PER TRADE SO ONE TRADE CAN NEVER THREATEN THEIR ENTIRE TRADING ACCOUNT. USING RISK MITIGATION RULES FOR INTRA-DAY TRADING, A WEEKLY MAXIMUM LOSS RULE FOR SWING TRADING, AND A MONTHLY MAXIMUM LOSS RULE FOR POSITION TRADING, WILL ALLOW YOU TO LEARN THROUGH THE PEAKS AND VALLEYS OF DAYTRADING. TRADING USING PROPER PROFESSIONAL SOFTWARE WITH BUILT IN RISK MITIGATION FEATURES CAN HELP TO PROTECT YOU FROM YOUR SINGLE GREATEST TRADING ENEMY: YOURSELF. USE THIS WITH CARE, AND YOU WILL LIVE ANOTHER DAY, LEARN ANOTHER LESSON, AND BE ONE STEP CLOSER TO ACHIEVING YOUR FINANCIAL GOALS. EVERY TRADER MUST ALSO KNOW WHEN NOT TO TRADE. FORCING TRADES, BOREDOM TRADES, LUNCH TIME TRADES – THESE ARE THE NEMESIS OF A GREAT TRADER. OFTEN TIMES THE BEST TRADE I COULD EVER MAKE IS THE ONE I DID NOT MAKE. SOMETIMES SITTING ON HANDS AND USING THE AFTERNOON, OR EVEN THE BULK OF THE DAY, TO STUDY IS THE BEST USE OF MY TIME. SURE THERE MAY BE LITTLE SCALP OPPORTUNITIES OUT THERE I’M MISSING. CAPITAL PRESERVATION IS KEY. WE CAN’T STRESS THIS ENOUGH. ONE SINGLE TRADE CAN WIPE OUT AN ACCOUNT. OR WAITING AND SITTING ON HANDS FOR THE PERFECT SETUP IN IDEAL TRADING CONDITIONS CAN CREATE LOTS OF PROFITS IN A SHORT PERIOD OF TIME. IT COMES DOWN TO ONE QUESTION: DO I WANT TO BE RIGHT? OR DO I WANT TO GET RICH? LONG BEFORE THE TRADING OF STOCKS AND COMMODITIES, THE JAPANESE WERE USING TECHNICAL ANALYSIS TO TRADE RICE IN THE 17TH CENTURY. THEIR VERSION WAS NATURALLY VERY DIFFERENT FROM MODERN TA, YET SEVERAL OF THE PRINCIPLES ARE THE SAME. THE “WHAT” (PRICE ACTION) IS MORE IMPORTANT THAN THE “WHY” (NEWS, EARNINGS, AND SO ON). ALL KNOWN INFORMATION IS REFLECTED IN THE PRICE. BUYERS AND SELLERS MOVE MARKETS BASED ON EXPECTATIONS AND EMOTIONS (FEAR AND GREED). THE ACTUAL PRICE MAY NOT REFLECT THE UNDERLYING VALUE. 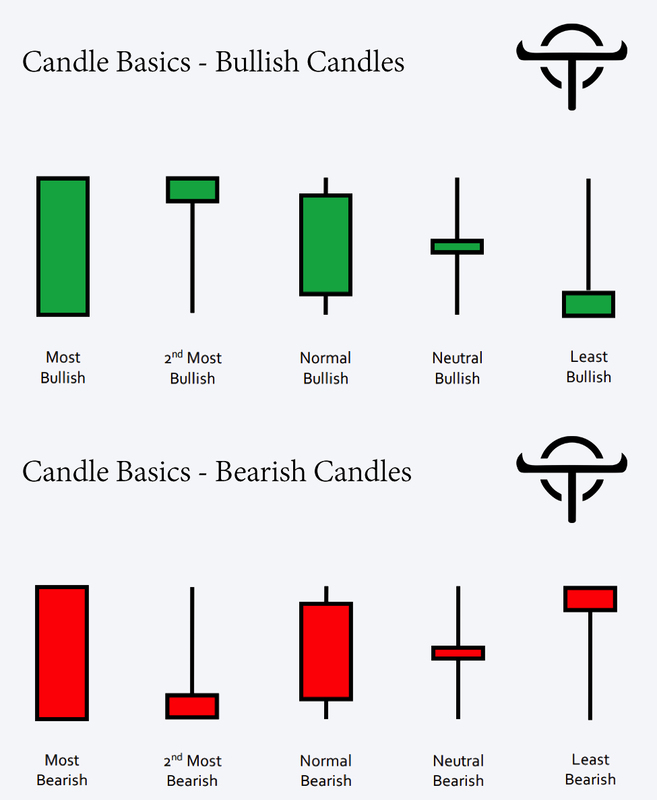 CANDLESTICK PATTERNS ARE AN INSTRUMENTAL COMPONENT OF TECHNICAL ANALYSIS. THEY ARE USED TO ACCURATELY AND HONESTLY ANALYZE DATA WITHIN ANY GIVEN PERIOD OF TIME OR NUMBER OF TRADES (OR TICKS). LETTING THE COMPUTER EXTRAPOLATE THE DATA AND CREATE IT IN CHART FORM CAN TEACH A TRADER TO IDENTIFY CERTAIN SUPPORTS AND RESISTANCE POINTS IN ANY GIVEN CHART. USING THIS INFORMATION, A KEEN AND TRAINED EYE CAN QUICKLY ASCERTAIN THE POTENTIAL DIRECTION AND GIVES THE TRADER THE BEST CHANCE OF A PROFITABLE TRADE. AS YOU CAN SEE BELOW, THERE ARE TWO BASIC PARTS IN THE CANDLESTICK: THE BODY AND THE SHADOWS. THE BODY DEMONSTRATES THE RANGE BETWEEN THE OPEN AND CLOSING PRICES. THE SHADOWS PROVIDE CONFIRMATION OF THE HIGH AND LOW TRADES OF THE DAY. MOST CANDLESTICK CHARTS ADD CONTRASTING COLORS, SUCH AS GREEN/RED OR BLACK/WHITE, TO BETTER DISTINGUISH THESE TRENDS. A RED CANDLESTICK SIGNALS THAT THE CLOSING PRICE IS LOWER THAN AT THE BEGINNING OF THE TIME PERIOD REPRESENTED, WHILE A GREEN CANDLESTICK INDICATES A HIGHER CLOSING PRICE. THE BENEFIT OF CANDLESTICK CHARTS LIES IN THEIR ABILITY TO DISPLAY MEANINGFUL INFORMATION CONCISELY. THE RECOGNITION OF THE PATTERN IS SUBJECTIVE AND PROGRAMS THAT ARE USED FOR CHARTING HAVE TO RELY ON PREDEFINED RULES TO MATCH THE PATTERN. THERE ARE 42 RECOGNIZED PATTERNS THAT CAN BE SPLIT INTO SIMPLE AND COMPLEX PATTERNS. THE ABILITY TO IDENTIFY SPECIFIC CHART PATTERNS FLUCTUATES FROM TRADER TO TRADER, BUT THE BASIC INFORMATION SHOWN ABOVE IS GENERALLY REGARDED AS EXTREMELY USEFUL. THE POTENTIAL FOR A PROFITABLE TRADE IS GREATLY ENHANCED IF THE TRADER CAN QUICKLY ASCERTAIN A PROPER SETUP, AND IMPLEMENT ACTION BASED ON THEIR TRADING PLAN. WITH STUDY AND PRACTICAL APPLICATION, ANY TRADER USING CANDLESTICK CHARTS CAN TRADE WITH A DEGREE OF CONFIDENCE. THE KEY TO PROGRESS IS DAILY EDUCATION AND AN OPEN MIND TO LET THE PRICE ACTION DICTATE THE TRADE.